It's Friday!!! The weeks are going so fast! Can you believe it's almost time to announce another week of winners? Stop by the blog tomorrow and keep your fingers crossed that you see your name! In the meantime, enter to win the fabulous Day 17 giveaway! If you have been looking for a fun new way to journal, need a new calendar, or just want some pieces to use on your layouts or cards you need to enter to win! Hello everyone! It's time for me to share another two pages of my 12 x 12 Misc Me Family album. I've continued to put more old photographs in this two pages. This album will be a showcase of my children through the years. It is really easy to create these Misc Me albums. The journal box set came with tons of beautiful pre-cut cards that fit perfectly into the pockets. The designs are so gorgeous that you do not need to add too much on top of it. Hello there and welcome to another day of Misc Me inspiration. This week I decided to dabble into my Modern Misc Journal Card set and use it as the base of the Misc Me spread. I love a cohesive look in my spreads so I also used only the Modern Miss embellishments and added in some twine from my personal stash. I used the brand new BoBunny Misc Me 12 x 12 page protectors and I love some of the new combinations like the one below. 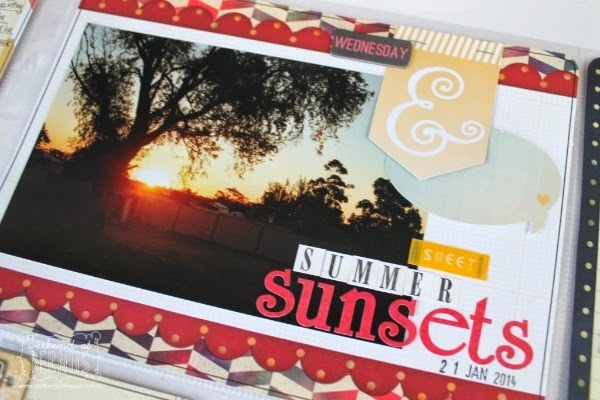 It is different to anything I have seen and I certainly love how I was able to create a mini layout to show off my sunset picture. To help keep the cohesive look through out the two layouts I used the alpha's from the Modern Miss Cardstock and Combo sticker sheet to create little titles on each of my cards. I love doing that as it gives a little glance as to what that moment is about, with out having to read all of the journalling. I hope you have found some inspiration today and hope that you too will find some time to dig into your Misc Me layouts. Bot are Adorable!! AMAZING DT creations! These are my colors!! Love them!! I love Misc Me because it's so quick and easy. 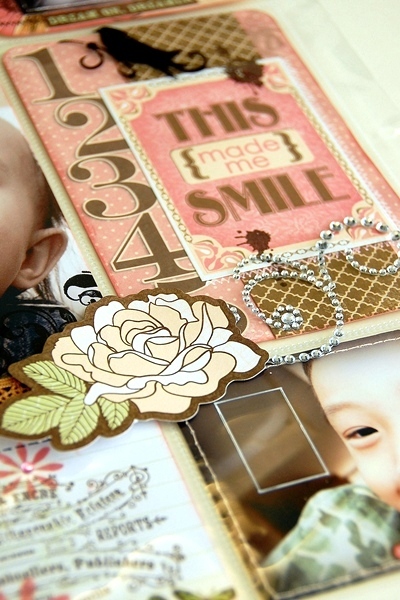 You can make a quick album with lots of beautiful papers that are already cut out for you and you can embellish to your heart's content! Thanks for the chance to win! you need that all coordinate together! I think this collection is awesome! So easy to use!!! such easy to place products, inspiring fun layouts. 'Love this calendar and all of the pretty designs in this post. Thank you for the chance to win!! Love the whole Misc Me product line! Thanks for the chance to win! My favorite part of Misc Me are the beautiful papers, done in the fun Bo Bunny style. Love the Misc Me papers, they look like the pages make themselves. I love the colors - the greens and pinks. 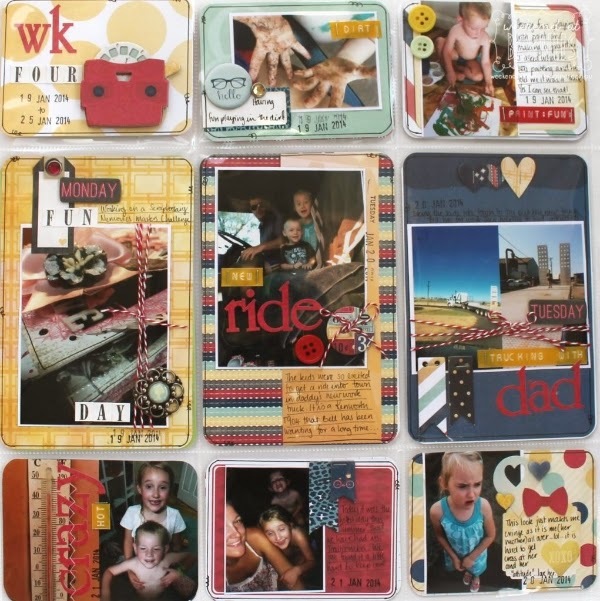 I love the fun colors and patterns of Misc Me, it makes pocket style scrapping so much more fun. 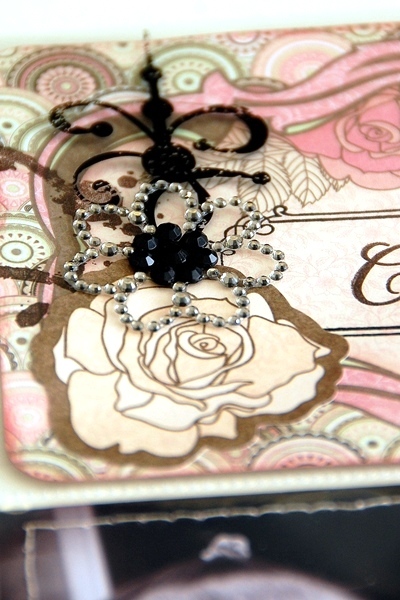 I love all the extra embellishment pieces you have to go with it, not just journaling cards. What I like most is the versatility! I could do romantic pages like Irene Tan in no time getting those colours and products!! I think I would really enjoy using "Misc Me", it looks so versatile. Nice example today. The Misc Me colors are fantastic! The papers are all so pretty! I love the misc. me because it looks so simple to use. 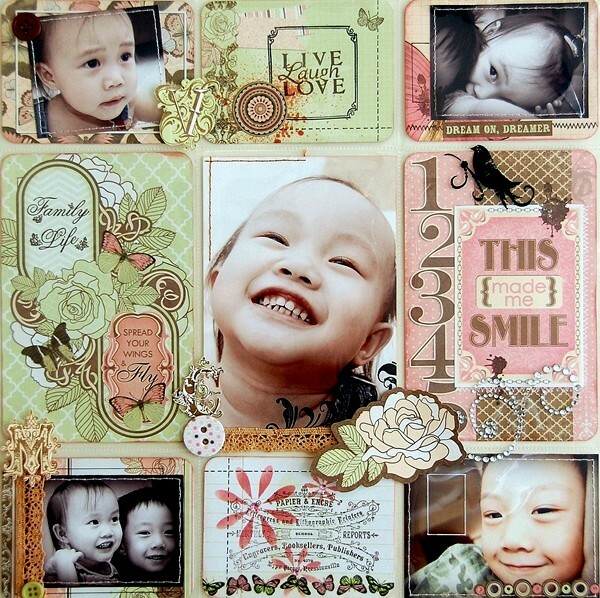 I haven't tried it yet and would love to that style of scrapbooking. Misc Me is looks so fun. I would love to try it! I love Misc Me for the different themes you offer, there is a set for everyone. I really love the Misc Me Recipe Contents and Journaling Dividers. Everything is so easy to coordinate together. I love the designs and coloration of the Bo Bunny products, Always something for every family member and event that needs remembering and documented. Awesome Project Life pages. Gotta love that Primrose. I know I keep saying it cause I love it sooo much! :) Thanks for the chance to win! love the misc me ! Wow these projects are awesome!! 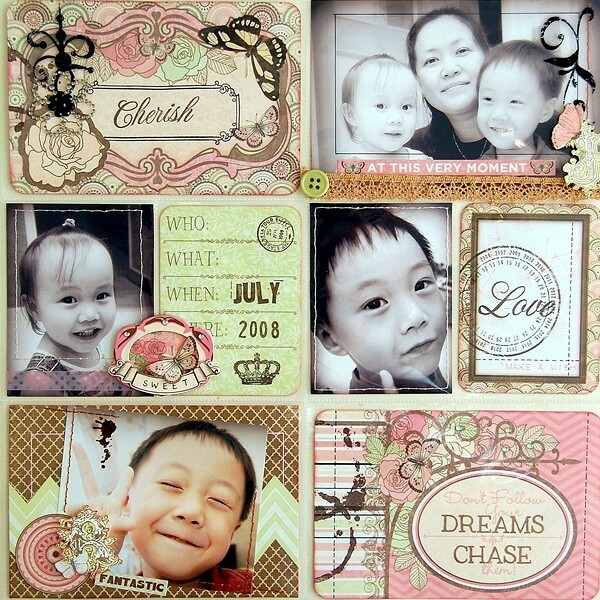 Love the versatility of Misc me and that they match your collections! 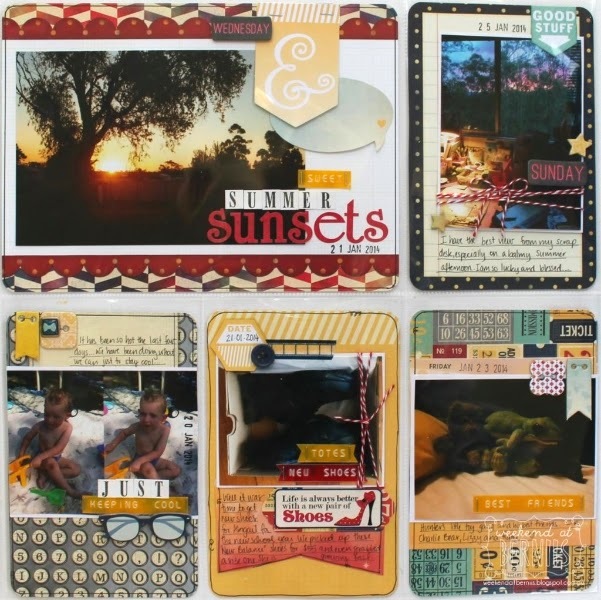 I'm just getting started on pocket page scrapbooking... late to the party I know! I LOVE these pages and projects, GREAT ideas ladies!!!! I love the colors and versatility of Misc Me! I love how quick and easy it is to put pages together with Misc Me. Awesome layouts. Great giveaway ....love to win, my first grandchild is due 25 December 2014! THANK YOU for the CREATIVE INSPIRATION and the chance to win some CRAFTY AWESOMENESS!!! You ladies rocker this Misc Me.! Awesome!